That’s going to freak people out. 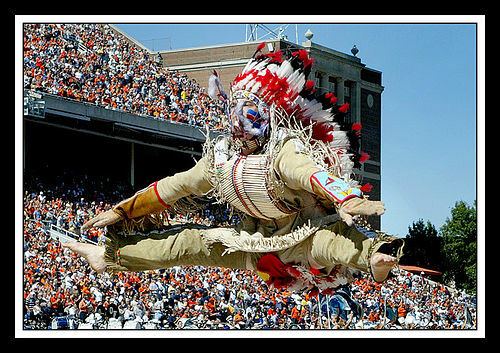 Getting rid of Native American mascots is just a trendy thing? Last month I posted about the mural of children in Arizona that wasn’t white enough for some people: Using whiteout on a mural of children. Now I’m further disturbed to find that Seattle has its own similar story of changing a mural to reflect more whiteness. I’ve been facilitating some community conversations about racism in response to the unintended impact of a comment made by a white person. Feelings of pain, betrayal, confusion, and anxiety wrestle with the forces of denial, protectiveness, and guilt, as the community stumbles its way through this. You are currently browsing the White matters blog archives for July, 2010.